This is the final segment about the five stages of deploying compliance-related assessments, as described in our white paper, The Role of Assessments in Mitigating Risk for Financial Services Organizations. I’ve shared pointers about Planning, Deployment, Authoring and Delivery in previous posts. For today, here are some tips about Analytics. 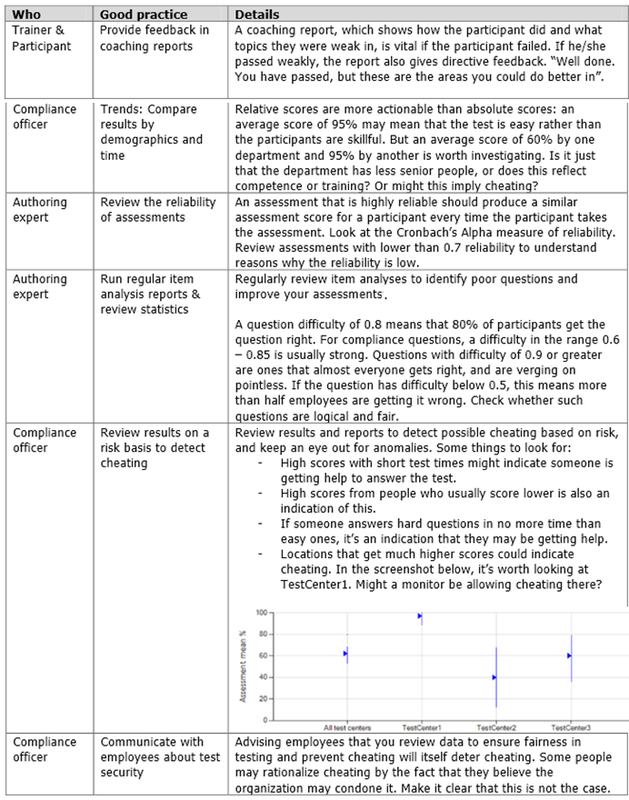 You can also check out John Kleeman’s blog post about using item analysis to use information from compliance assessments to help improve your training programs. If you are interested in this and other assessment best practices, join us at the Questionmark Users Conference in Baltimore March 3 – 6. Online registration ends today, so sign up while there’s still time!